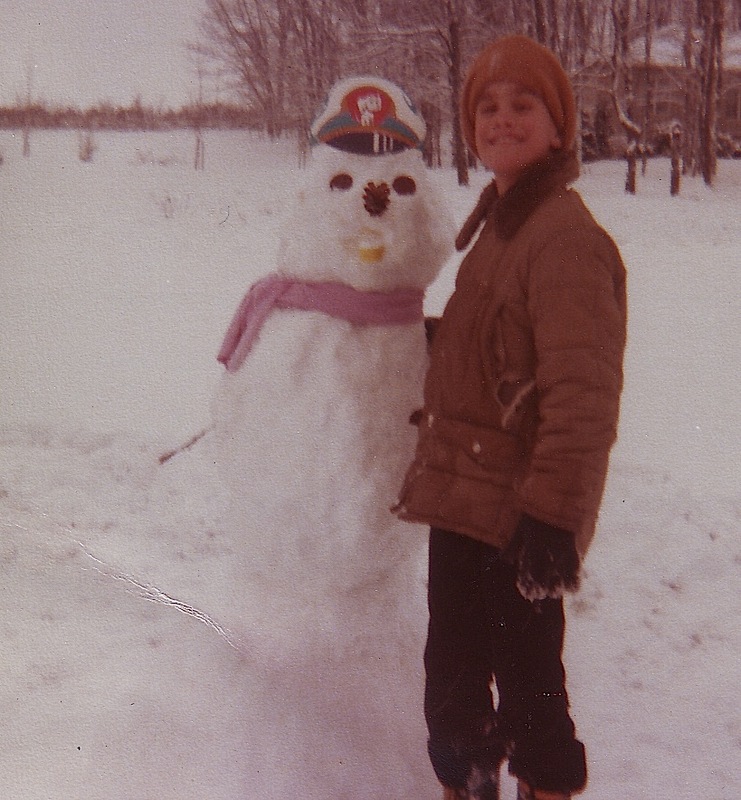 Me, sometime in the 1970s, when I lived in Maryland. When I was a child, I set out to write a novel entitled, The Little Dog Born in the Grand Canyon. The story was simple: a boy finds a dog in the desert, they have adventures, they rescue a fireman from a burning building. At the time, I believed the Grand Canyon was situated in California, so upon learning it was not, I revised the title to read, The Little Dog Born in the Grand Canyon, but Raised in California. I was a stubborn kid. In the end, I completed five or six pages and several illustrations. How I came to attempt a novel, I do not know. My brother and I were active readers, so perhaps our reading inspired us — I believe my brother also attempted a novel. Whatever became of The Little Dog Born in the Grand Canyon, but Raised in California, I can’t say. I do recall keeping the originals for some years, but now it’s long gone. Today, I’m a grown-up kid, ready to write my “November” novel. Though I’ve been blogging for well over a decade, I’m relatively new to the typosphere and newer still to NaNoWriMo. The idea of writing a 50,000 word novel in one month intrigues me, and I’m ready to join with others — some 200,000 at the time of this writing — in this endeavor. Without a doubt, I will type a good part of the novel on my recently acquired Olympia SG3, which I like very much. If, in the end, all I achieve is 50,000 unpublished words, I shall be satisfied, for at least they shall have been written. I begin this project simply for the sake of the written word. Go for it! The typosphere and the Typewriter Brigade (on nanowrimo.org) are great “places” to get a novel written.